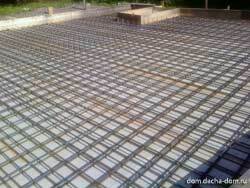 The floating concrete slab foundation is a double steel mesh reinforced slab which does not have frost footings. 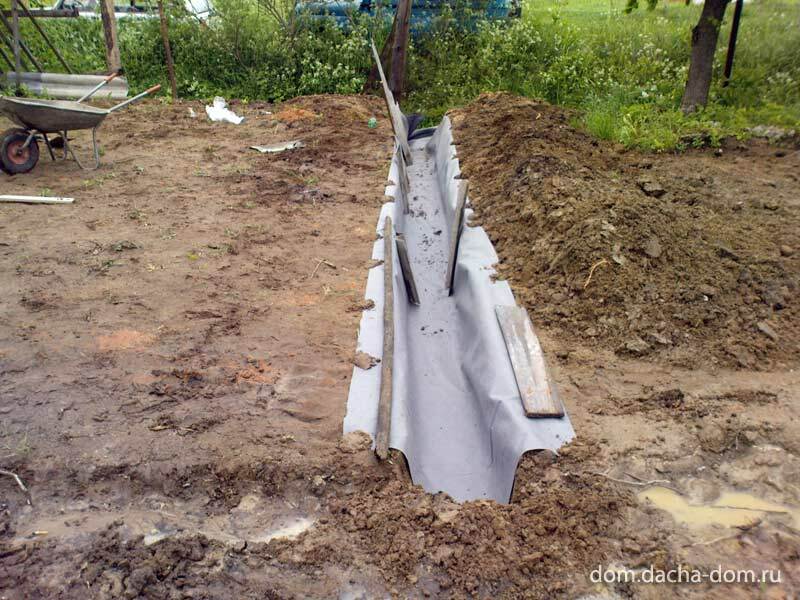 This type of foundation is called a "floating slab" because it "floats" on the soil. 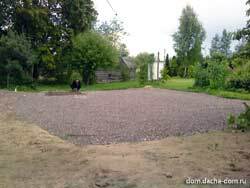 That slab type can be used in northern climates without any concrete feet which has to extend deep enough to remain below the frost line in winter. 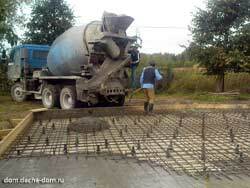 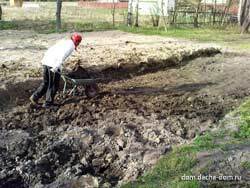 Here is story how the floating concrete slab foundation was built. 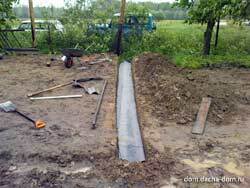 Putting gravel into the drainage trench. The drainage trench is ready to remove water under the concrete slab foundation. 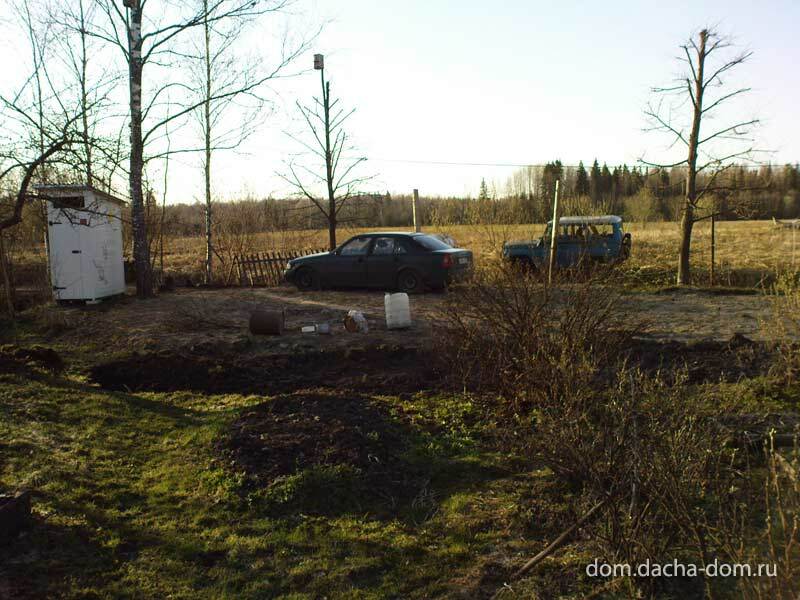 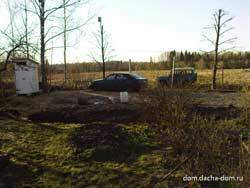 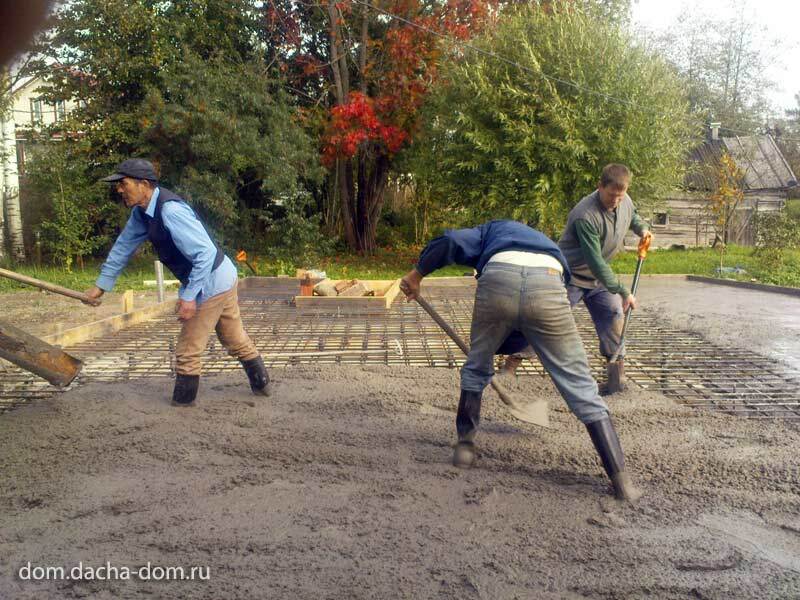 The foundation slab normally rests on a bed of crushed gravel to improve drainage. 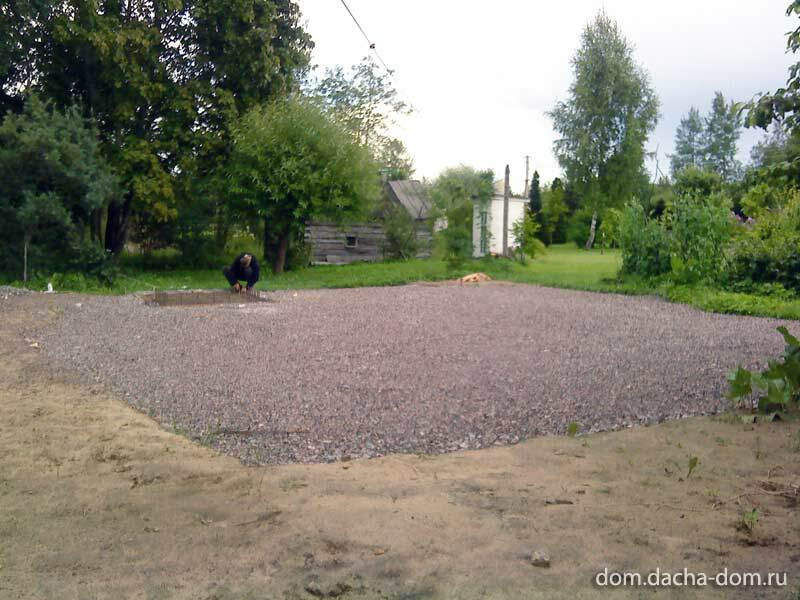 6-inch layer of gravel lies beneath the slab. 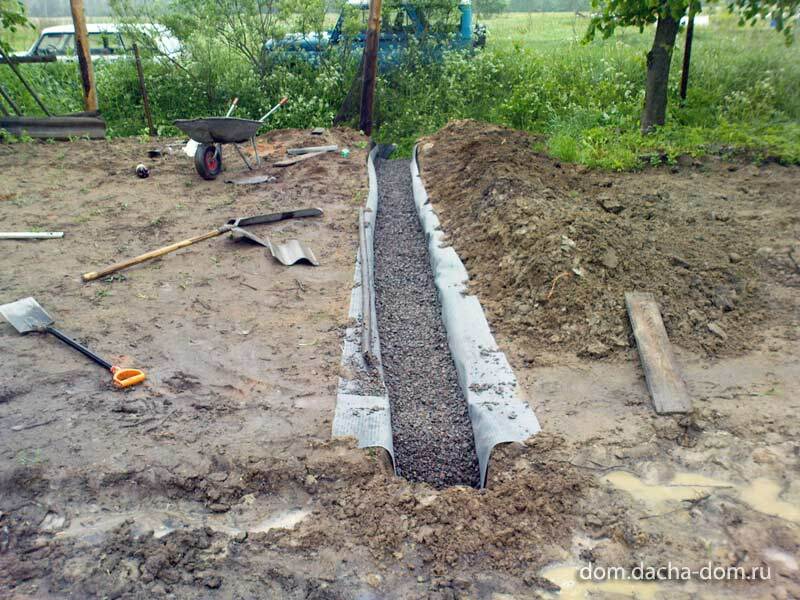 A 2-millimeter sheet of plastic will lie between the concrete and the gravel to keep moisture out. 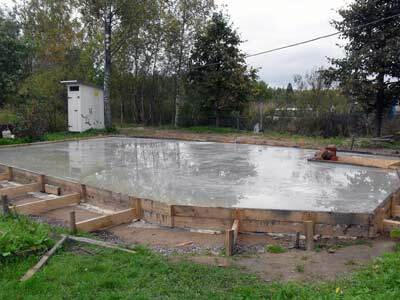 The floating concrete slab foundation is adapted with 2" insulation to prevent it from being affected by the frost heaves. 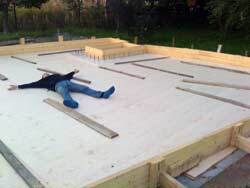 Insulation is required under a floating slab only when the space above is heated for a building of residental occupancy. Installing and reinforsing the wood frame mold. 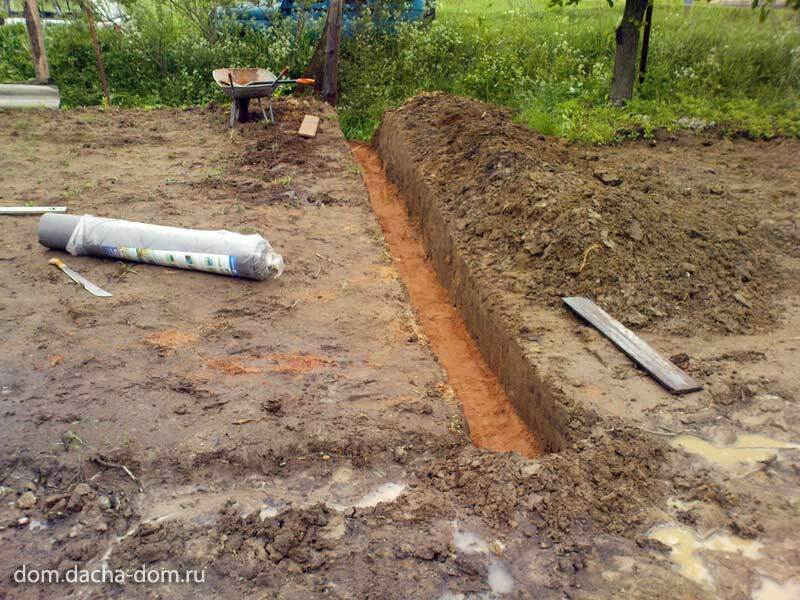 All sub slab layers are shown at the picture. 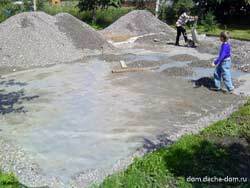 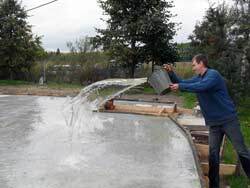 We use poly placed between the floating slab and the ground keeps the water in the newly placed concrete from draining out. 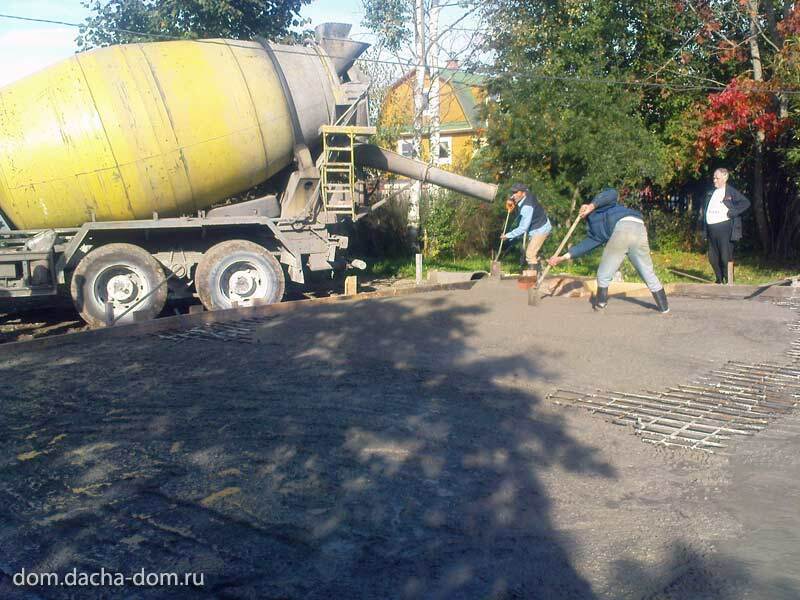 This will make the concrete stronger. 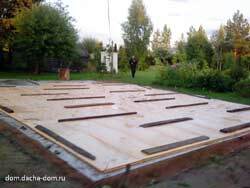 The slab mold and insulation are installed. 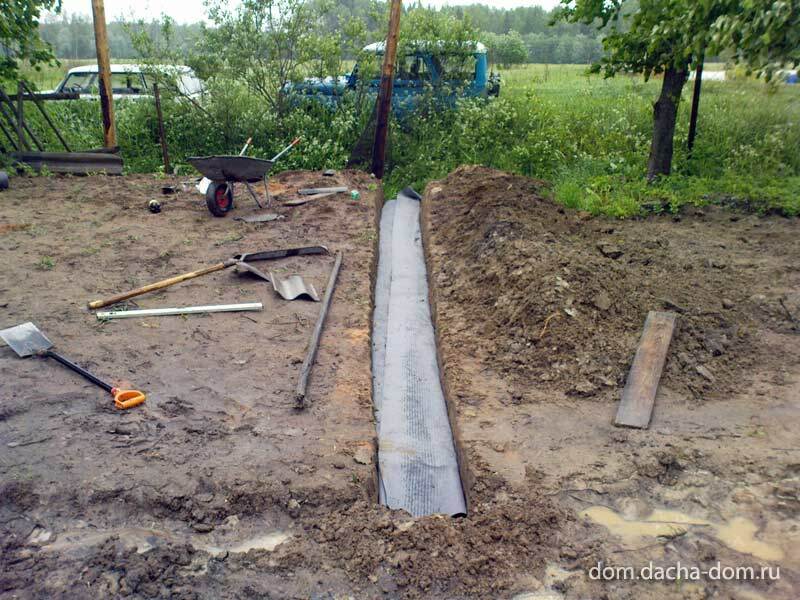 It's time to relaх before the big iron work. Slab thickness is 20CM - approx. 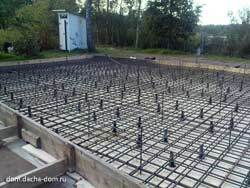 7,8"
The reinforcing rods strengthen the slab. 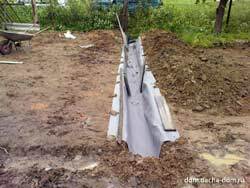 Two rebar levels will make a monolite concrete beam-slab. 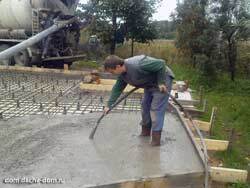 This type of slab does not require frost feet or wall. 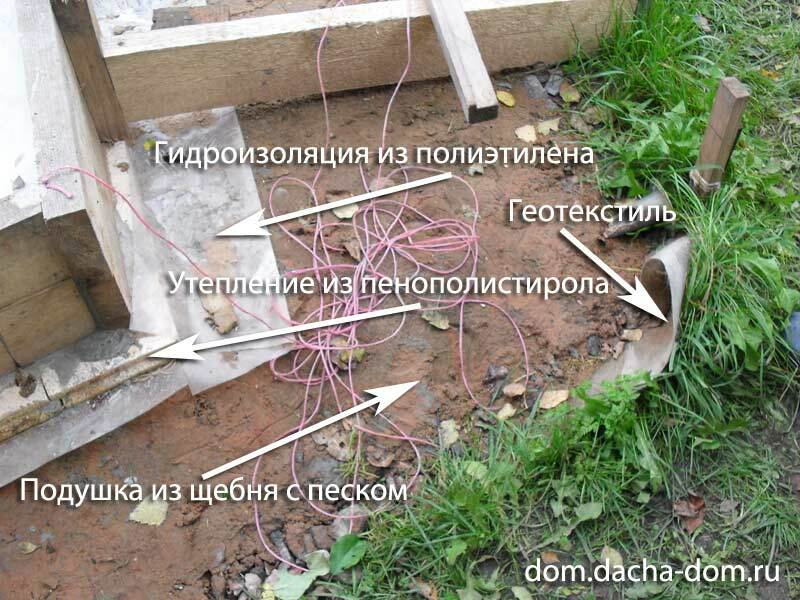 Casting a wire mesh in the concrete reduces the chance of cracking. 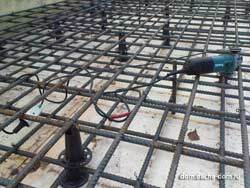 Installing the first layer of plastic rebar spacers. 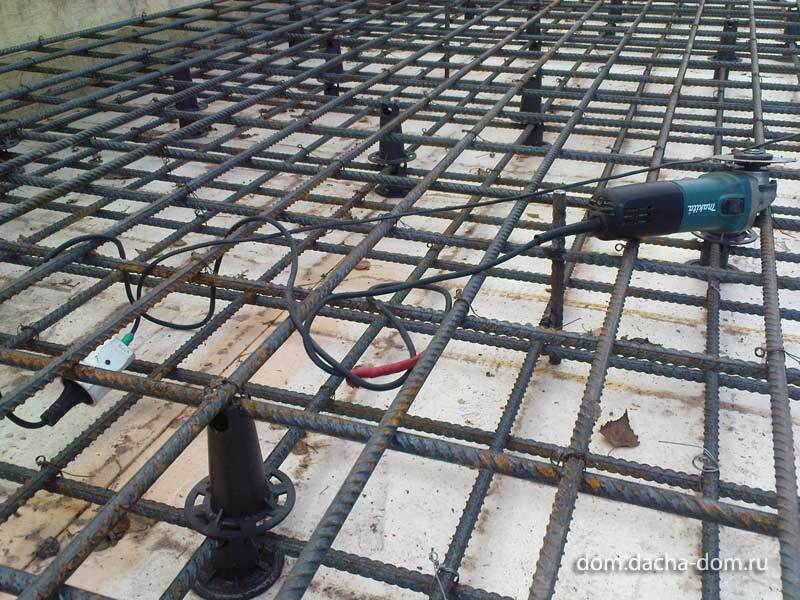 Lifting up the upper rebar mesh and installing the second layer of plastic rebar spacers. 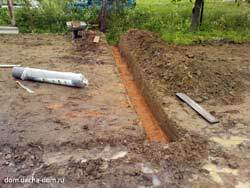 The rebar in the bottom of the foundation slab turns the whole slab into a traditional concrete beam. 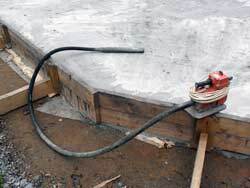 The load from the building above causes tension in the bottom of the slab. 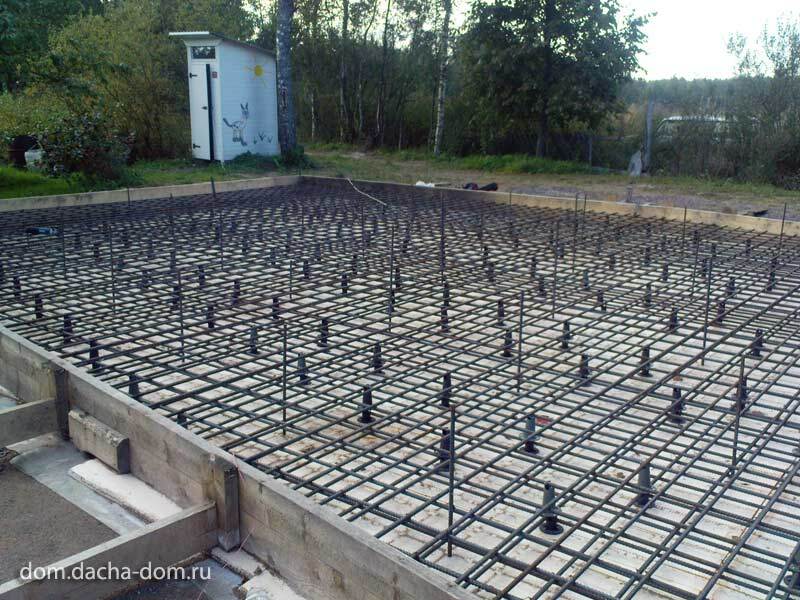 Concrete is not strong in tension, but steel is. 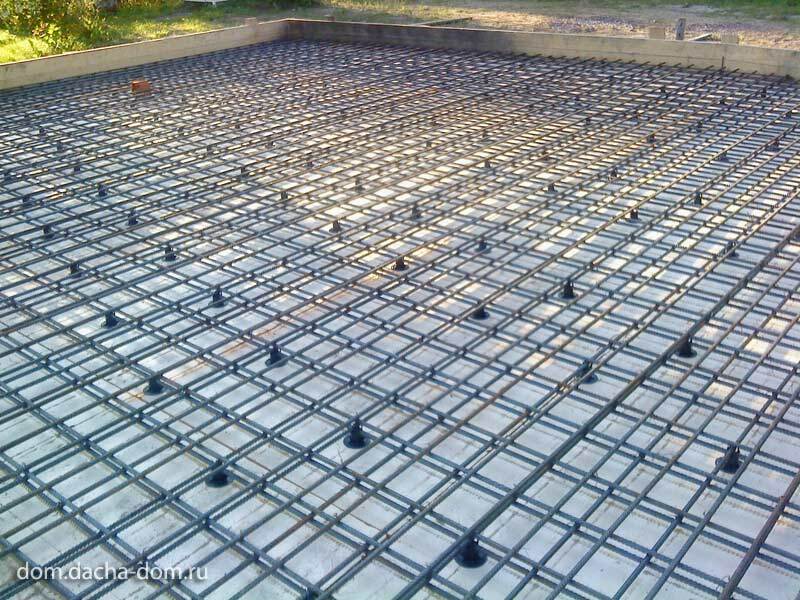 The rebar in the top of the slab is to resist the inverted loads produced by soft spots in the soil under the foundation slab. 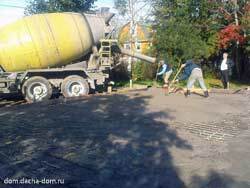 The concrete poured monolithically in one opetration in areas subject to frost. 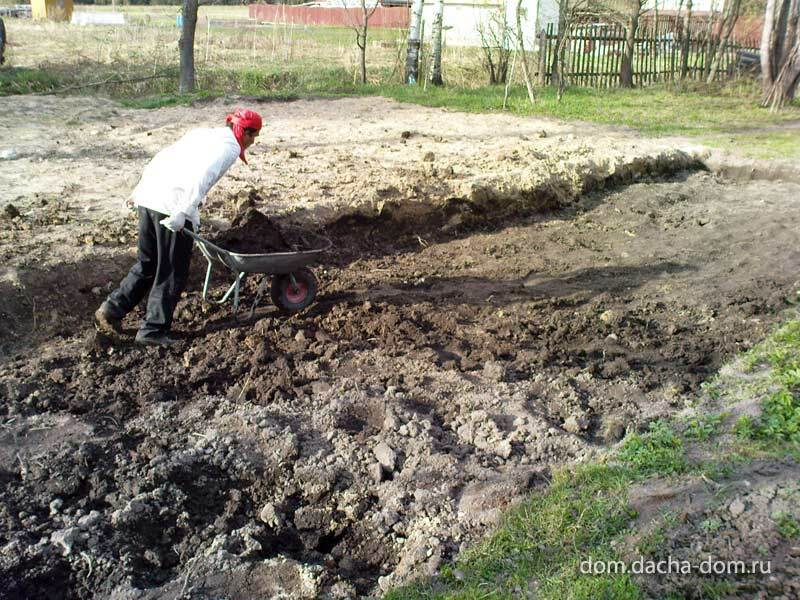 Handmade labour in Russia is cheaper than concrete pump rent. 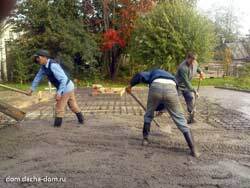 And you can work with shavel too. 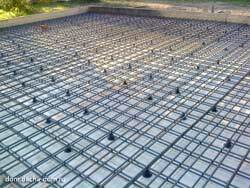 Maximum air content in a concrete slab = 5-8%. Use concrete vibration generator to remove the air bubbles from the foundation concrete slab. The electric powered concrete vibration generator. Water the slab during the first 2-3 days and cover it with a protective film to avoid cracks due to concrete shrinkage. 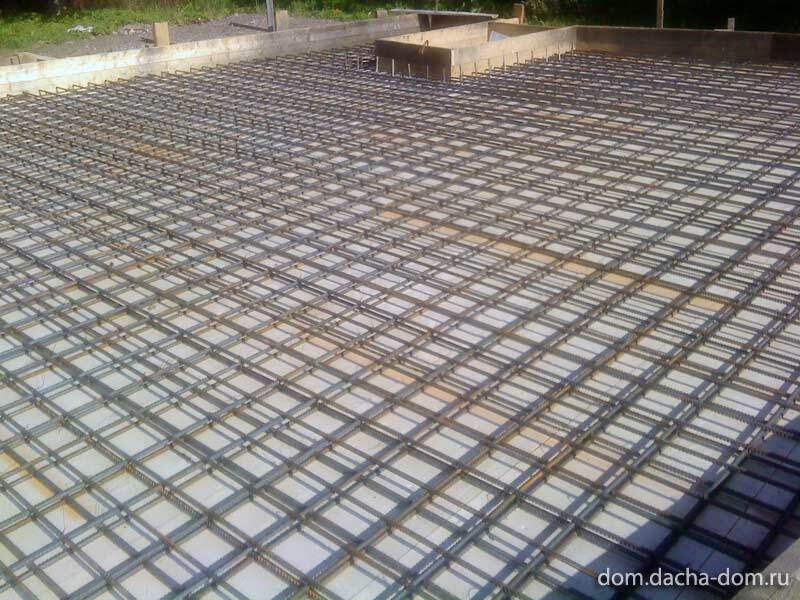 Minimum 28day compressive strength = 32 MPa. In a month the construction will be going on..